Solo guitar compositions celebrating the instrument's quiet, rapid decay. Each composition strives to be taken over by improvisation but always ends with a concise, pre-concieved conclusion. 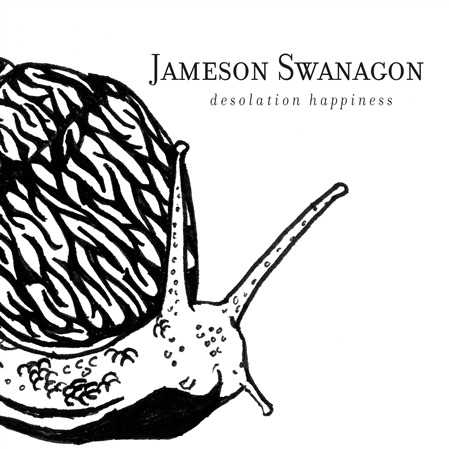 Jameson Swanagon: acoustic guitar and harmonica. Recorded February 7, 2010 in San Francisco by Sebastien Richard, except Sad Fish, recorded at home and performed on a guitar built by Jeff Jamieson. Mastered by Myles Boisen. Snail by Danae Swanagon. Design by Priscilla Wilson.